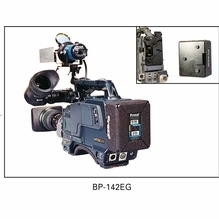 Professional camera operators always rely on dependable, long-lasting camera batteries for their film and photo shoots. 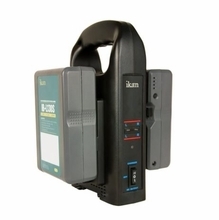 BarnDoor Lighting has all the most high-performance and long-lasting batteries - including lithium-ion batteries - to power your video cameras, digital cameras, LED lights and video monitors on set or on location. 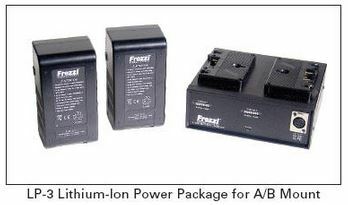 To ensure the longest run times, pick up a lithium-ion battery by Volta, Frezzi or Ikan. 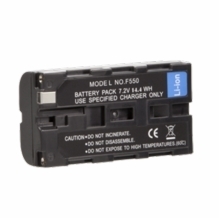 We also carry NiCad batteries for film lights and cameras. Each camera lighting battery may be purchased as part of a kit that includes two batteries and a charger, so you can keep one on charge and one on the camera for continuous operation. 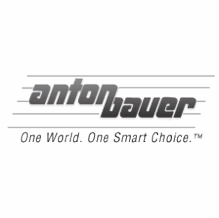 BarnDoor Lighting is happy to offer the always-popular Anton Bauer Gold Mount camera batteries and the Sony V-Mount batteries, which are preferred among professional videographers and digital cinematographers. These high-performance batteries are designed for safe, reliable operation. We can help you power your smaller video cameras and small, on-camera lights using the Canon L-Mount and Sony NP-F Mount. If you have any questions, BarnDoor Lighting is happy to assist via phone at 1-888-276-3667 or e-mail at info@barndoorlighting.com.